Painted Turtle Book, 9780814340356, 240pp. 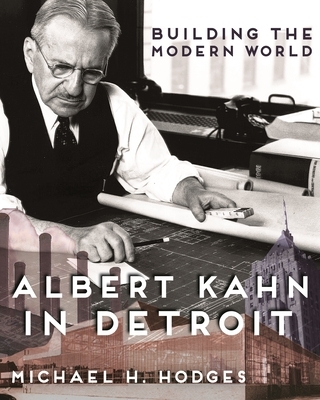 Building the Modern World: Albert Kahn in Detroit by Michael H. Hodges tells the story of the German-Jewish immigrant who rose from poverty to become one of the most influential architects of the twentieth century. Kahn's buildings not only define downtown Detroit, but his early car factories for Packard Motor and Ford revolutionized the course of industry and architecture alike. Employing archival sources unavailable to previous biographers, Building the Modern World follows Kahn from his apprenticeship at age thirteen with a prominent Detroit architecture firm to his death. With material gleaned from two significant Kahn archives-the University of Michigan's Bentley Historical Library and the Archives of American Art at the Smithsonian Institution-Hodges paints the most complete picture yet of Kahn's remarkable rise. Special emphasis is devoted to his influence on architectural modernists, his relationship with Henry Ford, his intervention to save the Diego Rivera murals at the Detroit Institute of Arts (unreported until now), and his work laying down the industrial backbone for the Soviet Union in 1929-31 as consulting architect for the first Five Year Plan. Kahn's ascent from poverty, his outsized influence on both industry and architecture, and his proximity to epochal world events make his life story a tableau of America's rise to power. Historic photographs as well as striking contemporary shots of Kahn buildings enliven and inform the text. Anyone interested in architecture, architectural history, or the history of Detroit will relish this stunning work. Michael H. Hodges covers fine arts for the Detroit News. His previous book, Michigan's Historic Railroad Stations (Wayne State University Press, 2012), was a 2013 Library of Michigan Notable Book.